After growing up in the American Mid West, Tom moved to Maine in 1978 to enter law school. He began practicing in Skowhegan in 1981, relocated to Saco in 1983, and now maintains a law practice in South Portland. He became a real estate agent in 2003 and is the Legal Director for the Tru Brit Realty Group. 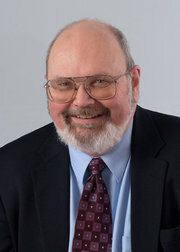 Tom went into politics several years ago and was elected twice to the South Portland City Council, during which he represented the City for a year as Mayor. He was elected one of five Commissioners for Cumberland County in 2012, and now devotes himself to making County government more efficient and responsive to the needs of its citizens.